Save your videotapes before it's too late! You should have precious videos like a wedding, the arrival of a baby, holiday family gatherings, dance recitals, school plays, sporting events, birthday parties, competitions or just kids playing around the house converted to DVD. Why? Because you are in danger of losing them forever! Videotapes lose their magnetic signal over time, quality and color of your memories deteriorate due to the friction between the VCR head and tape, and the tape grows brittle and eventually breaks – even when sitting on a shelf! 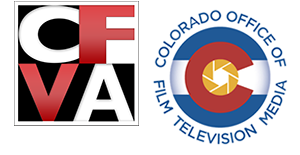 Especially troublesome is a climate like Denver with wild temperature swings and ultra-low humidity levels, which wreak havoc on the materials that make up audio and video tapes. VHS recordings were made with an analog process. The illustrations or photos were coded into a magnetic tape. As time passes, this code can fade because of different factors and the illustrations or photos will start to turn out to be grainy and deteriorate in top quality. Digital illustrations or photos recorded onto DVD last longer since the digital codes embedded into the CDs are higher in high quality compared to their analog ancestors. Given these differences, wouldn’t you say that it is time to accomplish a little VHS to DVD conversion? When videotapes are copied, each copy loses a bit of the information from the original – in other words, the video loses quality. Consider that in a few years nobody will use traditional VCRs, as we know them today. How many people do you know that watch video tapes at home anymore? Therefore, if you want your memories to last, DVD is the clear format of choice. HOW LONG DO VIDEO TAPES LAST? It is one of the toughest questions, and few people bother to ask it: How long does a magnetic tape last? Popular belief has always been that the information stored on videotape is permanent. Magnetic tape (cassettes, VHS and camcorder tapes) has allowed us to document and replay our history. Nevertheless, magnetic media has a very limited life span, and your priceless sounds and images will soon be lost forever! All magnetic tape older than 15 years is in serious jeopardy! The greatest problem with videotape is that over time it will breakdown. Breakdown occurs when the binder that holds the magnetic particles to the polyester base on the tape decays. As the breakdown process progresses, the tapes become extremely difficult to play. The problem may be so severe that the magnetic material literally falls off, leaving a pile of dust and clear tape. I have actually opened a tape box to find a box full of oxide dust- rust. 1. Video quality deteriorates each time you watch. 2. Video quality will deteriorate after 10 years, even if you do not watch them. 3. Your VCR can destroy your tape when it malfunctions. 4. Analog videotape (from the 20th century), like VHS tapes, will not last as long as digital tape. 5. Digital tape is better, but it has an expected useful life of only 20 years if stored under ideal conditions. DVD’s are better because they are the next generation in media. It is expected that a DVD will maintain video quality for 100+ years (though we used to think that about video and audio tapes, too!). Your saved digital images on DVD will then be available for the next evolution in media for future saving. 1. Digital standard for the 21st century. 2. DVD video quality is superior to tape. 3. DVD audio quality is superior to tape. 4. DVD video quality will not deteriorate, no matter how many times it is watched. 5. A DVD may last 100 years or more. 6. DVD’s are sealed and have no moving parts (unlike tapes). 7. DVD’s are easier to handle, use, and store. 8. DVD’s can be copied without loss of signal, digitally. 9. DVD’s can be played on home computers with DVD drives and on most DVD players. 10. DVD’s allow quick access to specific scenes. Instead of fast forwarding to a specific spot in your video, a DVD lets you skip right to a specific point, bypassing all of the video in between. 11. One of the best things about DVD is the quality of the video. While a normal VHS tape only offers 200-300 vertical lines of resolutions, a DVD allows a full 480 lines of resolution. This means that your picture is sharper and more detailed. And with BluRay, you get 1080P HD quality! The conversion process does not affect the original tapes. We do not make any changes to the original tapes, unless we need to in order to play them! They will be played and rewound a few times by a quality VCR while they are being processed. This will not affect the original tapes any more, than if you played and rewound them a few times at home. How much video can be burned onto a DVD? We can burn up to 2 hours of high quality video and audio to one DVD-R.
Join us in our quest to preserve memories. Find VHS to DVD conversion tips and enjoy your memories for a long time! Thanks to the following for their thoughts, ideas and articles that helped contribute to this post: GPH Creations of Kinston, NC, Scot Faulkner and Jim Held of MacWorld.